The cult “classical club night” founded by Gabriel Prokofiev returns to Berlin on Wednesday the 11th of September at Chalet, the 150-year-old mansion that’s been transformed into a nightclub with an outdoor garden area. The London-based series has been fusing contemporary performance ensembles and classical-inspired DJ sets for a full decade now, rising to the forefront of the alternative club scene and earning consistent praise in the process. Now, for the second Berlin edition, Prokofiev is joined by Nonclassical resident DJ and fellow Londoner Nwando. They will digitally weave together tracks and remixes from the Nonclassical record label catalogue, alongside the best in contemporary classical, left-field electronic music and anything in between. 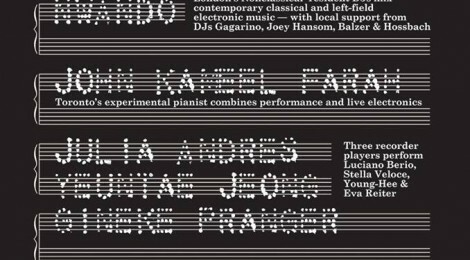 Onstage, Toronto’s John Kameel Farah will perform solo piano and live electronics, combining contemporary classical, free improvisation, jazz, electro–acoustics, middle-eastern modes and ambient minimalism and distilling them into cohesive, imaginative surrealistic structures. 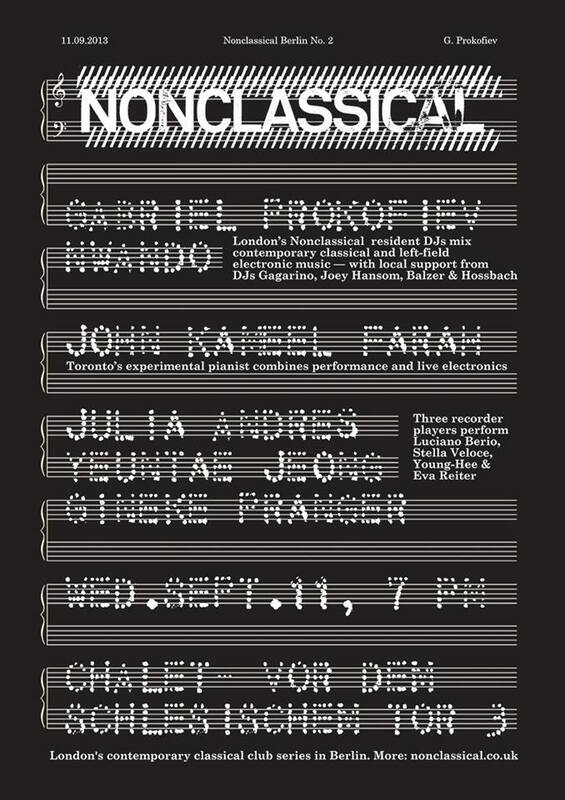 Recorder performers Julia Andres, Yeuntae Jeong and Gineke Präger will play pieces including Luciano Berio’s “Gesti” from 1966, and “Binary Opposition”, a new work by Stella Veloce that defies the strict dichotomy of sound versus noise. Completing the lineup will be some of Berlin’s most progressive DJs: Jürgen Grözinger—an experimental musician who plays percussion in some of Germany’s top orchestras—will create an audio atmosphere as Gararino, the alias he’s already introduced into different contexts such as Yellow Lounge at Berghain and Watergate. Joey Hansom will layer early electronic and computer music with an all-vinyl set, and renaissance duo Balzer & Hossbach—known for their DJ residency at Berghain’s Certain People concert series—will present their own forward-thinking selections.